I can't believe this!!!! I'm actually posting AGAIN! Someone pinch me! 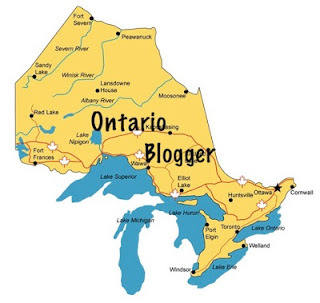 But, I know, once the school hoopla begins, my blogging streak will subside. I'm linking with Doodle Bugs Teaching's Five for Friday linky party. Since we are on Christmas vacay, I will post about our Christmas break rather than about school. I'm not sure if I'm breaking any laws here, but if I am, I apologize. If you follow me on Instagram, then you will notice that today's post is a duplicate of all the things that I've already posted on IG. 1. 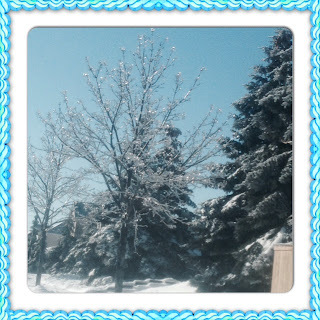 The Ice Storm: This year, we were hard hit with a severe ice storm. For days, many people were left without power. Many families ended up having their Christmas dinners in the dark. Families were bundled up in their coats, hats, and gloves while opening presents. Outside, the trees were also trying to cope with the ice storm. 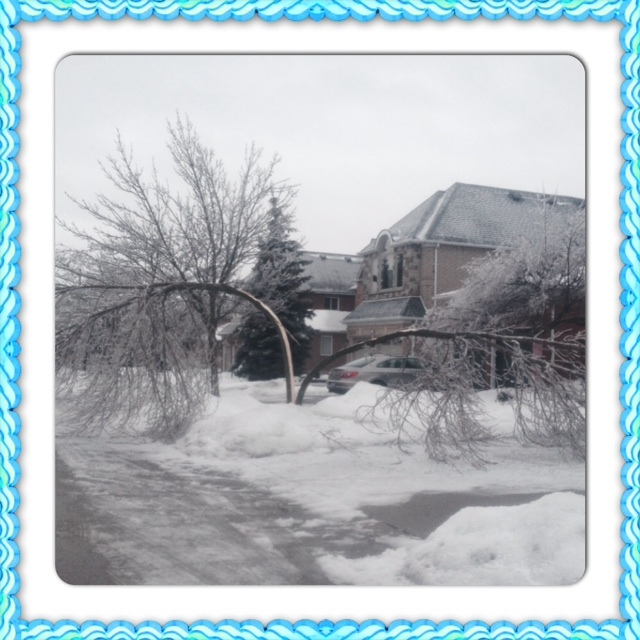 The weight of the ice on the trees were causing havoc on the branches; trees were toppling over. Branches were strewn all over the place; on cars, through windows, on sidewalks, & on roads. Walking and driving became dangerous. Drivers & pedestrians had to be vigilant wherever they went. The weight of the ice split this tree in half. While the weather was frightful, the scenery later on was delightful! 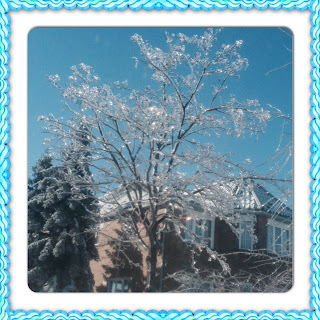 Every tree looked like a crystal. The trees were all glistening under the bright sun! 2. 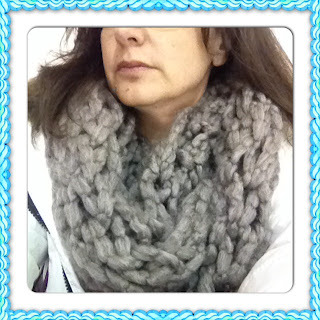 Scarf - My 9 year old son LOVES Loves loves to create things. He would rather watch a video on crocheting, knitting, looming, than watch a TV show. He would rather watch the National Geographic, than play on the PS3. He would rather make a smoothie or pancakes, than play on his iPod. Well, his latest creation was this gorgeous scarf. He made this scarf using his arms. He pretended that his arms were knitting needles and began his concoction. Yup....I'm a proud mama! Proud Mama wearing her scarf! 4. 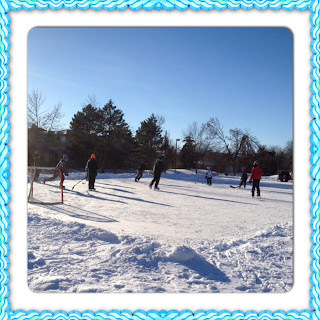 Ice Pond Hockey - Being a Canadian.....means a winter can't go by without having a good old game of outdoor hockey. 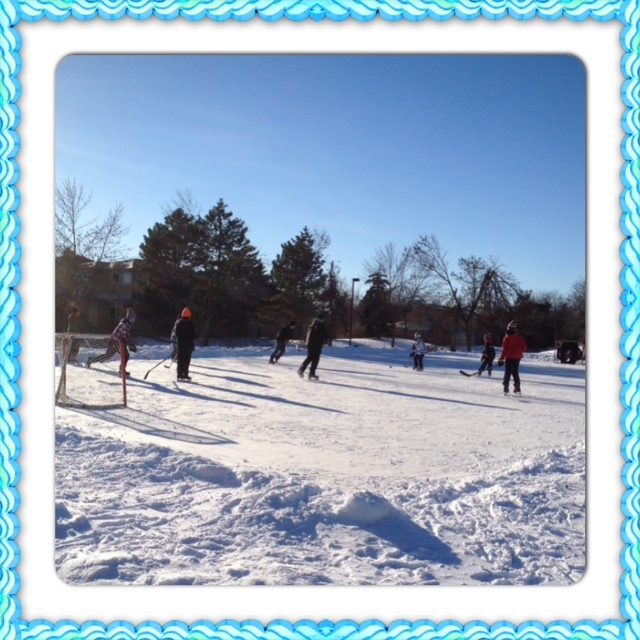 Even when there's a wind chill of -20 degrees Celsius. 5. 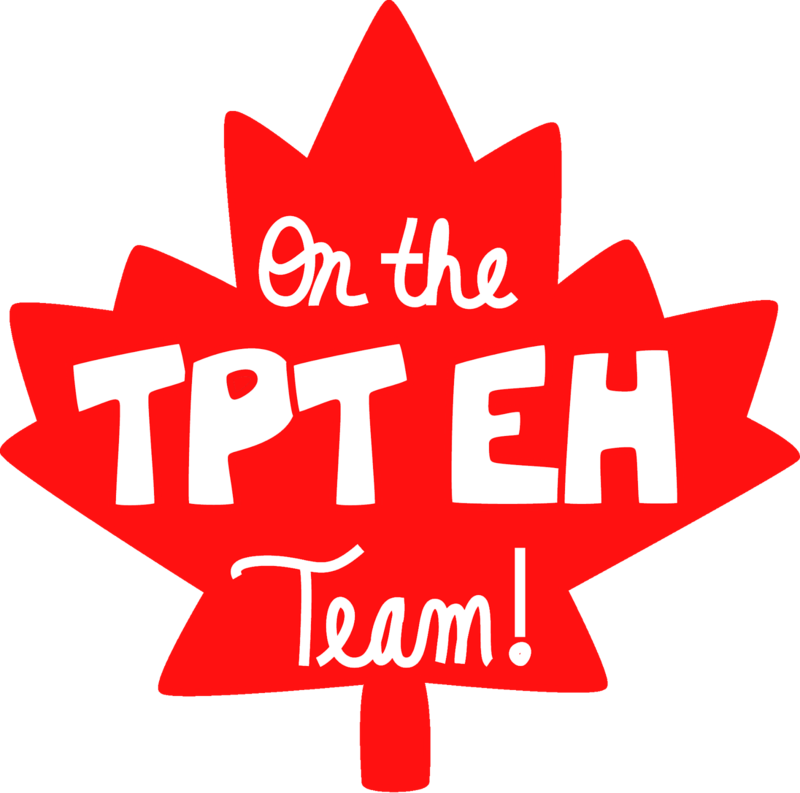 Giveaway - Mrs. Olson's Lucky Little Learners is having a fabulous and unique giveaway. 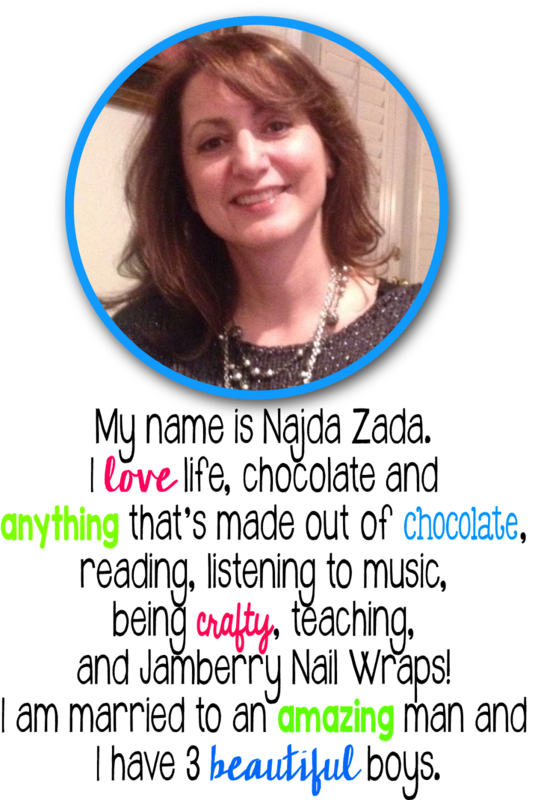 I suggest you stop by her blog and enter her School Tools TV.com giveaway! The giveaway ends soon, so hurry on over. Wellll.....that's about it for now. Rest up and enjoy your weekend. That scarf is so neat. What a talented little man you have! Awesome! Hi Najda! 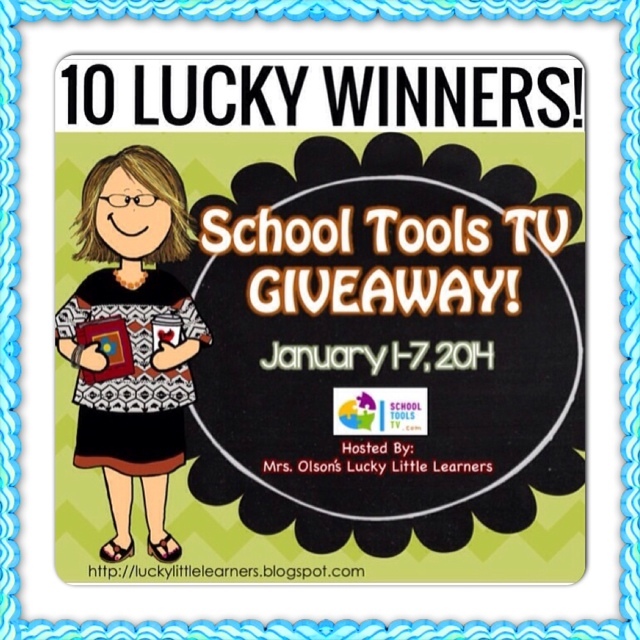 Thank you so much for posting SchoolToolsTV giveaway, hosted by the awesome blog Mrs. Olson's Lucky Little Learners!! That scarf is amazing!!! The weather is too! Hey Najda! 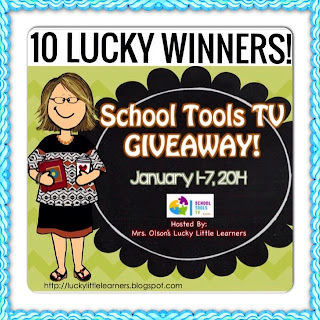 I just want to thank you again for posting about my giveaway from Rusty over at SchoolToolsTV! You are so sweet to promote that for us! Good luck to you! !